Tonights demo is possible thanks to Jim (PawPaw) and Sheri Wilson inviting me into their home, and allowing me to use their computer, while we are in North Carolina. I appreciate their hospitality. 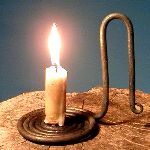 This is a Reproduction Candle Holder, as reprinted in the Ocmulgee Blacksmith Guild Newsletter. They call for 42 inches of 3/16 inch diameter round stock. None being available, I started with 48 inches of 1/4 inch round stock. 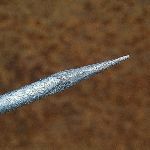 Figure 1 Make a short sharp tapered point, about 1/2 inch long on one end. Figure 2 Bend the point over the edge of the angle to 90 degrees. Now turn the point horizontal, and make another 90 degree bend over the edge of the anvil. This should look like the start of a snail shell with the point coming out of the center. 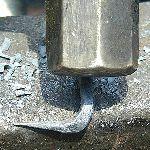 Figure 5 Lay the bend at the anvil's edge and with the hammer, and roll with stock into a tight spiral toward you. This is done by moving the tong hand up slightly as you hit with light hammer strokes. 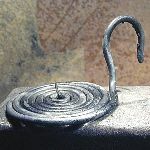 You may want to refer to the iForge #47, (the snail demo by Bill Epps) on how to roll the metal to form a snail shell. This is the same technique he describes for making a snail. Figure 6 Continue to hear and roll keeping the spiral tight till you have about 18" of rod remaining. Put this down and let it cool. 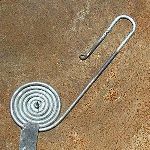 Once cool, check by dripping water on the metal to be sure it IS cool, then use the spiral as a handle and point the other end. 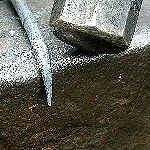 Figure 7 Lay the point across the edge of the anvil and form a pig tail or curl. Next lay the metal across the horn and form a loop as a handhold. At the end of the loop, back to the horn and form a reverse bend. 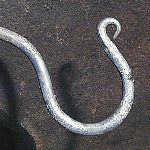 Figure 8 Now continue to roll the metal using light hammer strokes and finish the spiral. When you get to the end, just bend the handle up 90 degrees. Just make sure up is in the same direction as the point in the center of the spiral. If you look close, I got distracted and burned the pig tail off the end of the handle. No problem, just heat the handle, straighten it a bit, and form another point and pig tail. Then reform the handle over the horn. Figure 10 This is the finished product. 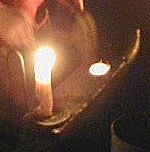 I stuck a candle on the point and burned it a while. In moving it, I personally did not like the form of the handle. Just did not fit MY hand. Figure 11 Back to the fire, heat the metal and unbend the handle to straight. Save the pig tail. 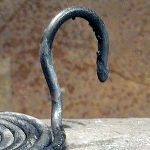 Now unwind a bit of the spiral and make a new handle. The new handle is formed a bit taller and does fit my hand. 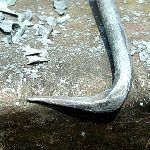 There is no reason to throw out a good piece of metal, and all the labor, just to start over. Many times, you can fix the problem with a little heat and a some more hammer work. Glenn, Nice demo. Do you wire brush it or just leave as is? neat demo Glenn. How much do they go for? Nice Glenn.. think I will try that... looks to be a good way to practice turning the metal over the anvil edge! Don't be afraid of this demo. 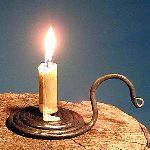 If a 9 year old blacksmith can make a candle holder, you can also. As I watched the kid work, he only used the hammer to make the first couple of spirals. HE then picked up the tongs, and holding the spiral, wrapped the stock into place. He figured out another way, and easier for him. Glenn: really good photo work. I found a version of this on the web about a year ago, you demo seems an easier way to do it though. They had all the tisting done in a vice. Glenn really likes the look of these candle holders, I guess I will be making her a set this week. Thanks for the demo enjoyed it. Thanks for demo-ing an item that maybe I can make & still looks neat. Dave, the original suggested using a vise. I had a problem with crushing or bending the point. 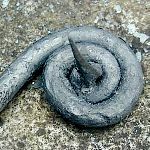 It is just as fast for me to use the hammer to make the spiral. The tongs work even faster. 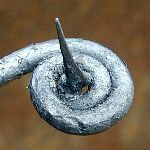 If you need to flatten the spiral, you can put the point into the hardie or pritchel hole and the surrounding anvil will support the metal spiral. That was excellent Glenn...revealing the save in the end....yeah! Gut Glenn, I didnt realize you were so young!